Balance transfer credit cards offers may not be as plentiful as they were a few years ago, but they still exist. Customers who have good enough credit are still receiving letters in the mail, enticing them to transfer credit card balances for low teaser rates. These credit card offers may be a good or bad thing, depending upon how you use them. 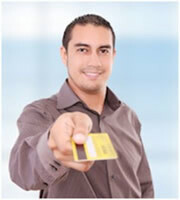 Balance transfer credit cards can help you consolidate credit card debt and pay it off at a lower interest rate. But this only works if you put away the credit card and don't charge anything new. Using a balance transfer card for additional purchases may result in you paying two different interest rates: the low, teaser rate on the transferred balance, and a higher rate for regular purchases. Also, you should avoid repeatedly transferring balances because you may end up paying a transfer fee each time. Some credit cards may charge a 3% to 5% fee for a balance transfer. You should be able to find out everything you need to know about a credit card by reading through the credit card terms. The terms tell how long the introductory interest rate may last, what the default rate may change to if you're late with a payment, and the amount of any late fees. The credit card terms should also explain exactly how monthly payments are applied, and the date and time those payments are due. Payments are usually applied to the balance with the lowest interest rate first. However, changes in credit card regulation will require card issuers to apply any payments above the minimum amount to the part of your balance with the highest interest rate. In the best-case scenario, you would pay off a balance transfer credit card before the introductory rate expires. You may save hundreds or even thousands of dollars in interest and improve your credit score by knocking out debt. But for some people, balance transfers don't end so well. Instead of paying off credit card debt, they end up in worse financial shape than when they started. If you're experiencing serious financial hardship, or if you have a problem with compulsive spending, you may not be helped by a balance transfer offer. If you're in one of those situations, a trip to a credit counselor or debt support group may be a better option. 0 Responses to "The Credit Card Balance Transfer Game"